From award-winning director Phil Grabsky comes this fresh new look at Monet – possibly the world’s favourite artist – through his own words. 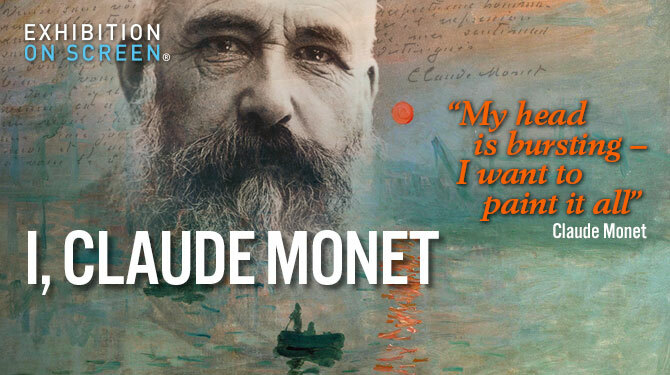 Using letters and other private writings I, Claude Monet reveals new insight into the man who painted Impression, Sunrise, the picture that gave birth to impressionism, and who became perhaps the most influential artist of the 19th and early 20th centuries. Monet’s life is a gripping tale about a man who, behind his sun-dazzled canvases, suffered from feelings of depression, loneliness, even suicide. Subsequently, his flourishing art and his love of gardening led to a blossoming of Monet’s humour, insight and love of life.